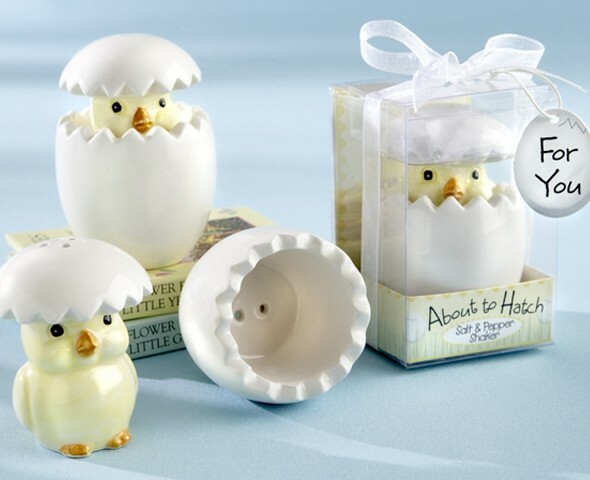 Give some of the most adorable salt and pepper shakers out there as baby shower favors! Sculpted to perfection, they take the shape of little chicks just about to hatch. A gift worthy of unlimited praise. Personalized tags for these favors are available separately as Product Code: AK-31001NA-03-B. "I've been searching the web for bridal favors and It's been very difficult to find! I just wanted to tell you how impressed I am with your wedding favor website and the broad range of choices." Brenda B.